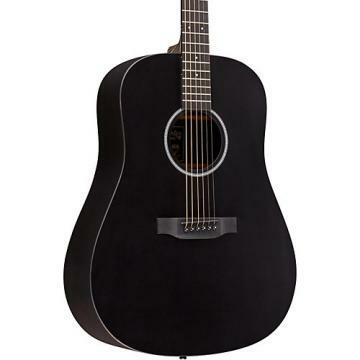 The 17 Series 000-17 Auditorium Acoustic Guitar boasts a rich, warm sunburst or sharp black finish that will delight any player with its aesthetic beauty. 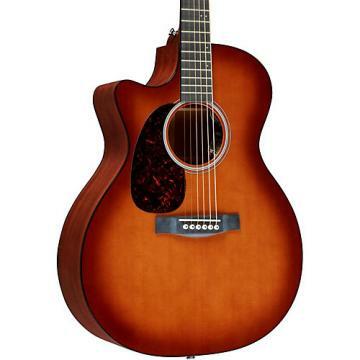 Skillfully crafted from a solid Sitka spruce top and mahogany back and sides with grained ivoroid binding, a modified low oval neck with a Performing Artist taper, and a Guatemalan rosewood fingerboard and bridge, this guitar produces beautiful dynamic tones that will please the most discerning musician. 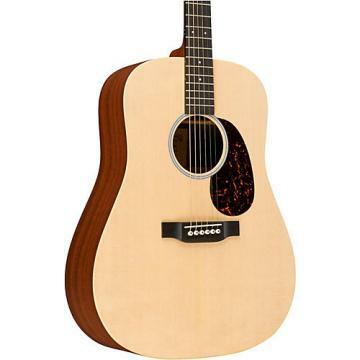 Order this solid Martin today! I know this is alot of money to spend on a guitar. I am a working man too. I firmly believe this is the most money that a player should be spending on any guitar. I am a guitar PLAYER. I DONT buy guitars to hang on the wall so I can appreciate the gloss finish and drool over the pearl inlays. When I buy a guitar, I intend to play it until it is worn. I have done that with all of my acoustic and my electric guitars. If you are the kind of player who knows a few chords, and likes to sit down and strum a pretty guitar with figured inlays and flashy hardware, this guitar definitely is not the instrument for you. When you buy guitar, you can change every part on it, except the body and the neck. If you're going to buy a guitar with intent to change the neck and body, why not just buy a guitar with the neck and body you want, and change the hardware? If you are a player who is professional, serious, and wants to make a sound for yourself, well this guitar is the guitar for you. Yes, It DOES have the neck AND the body you want. The neck feels incredible. It is UNPARALLELED when it comes to feeling this guitar. Don't believe me? Find one and try playing it. It's like the Rickenbacker of acoustic instruments. The top of the guitar is the first thing that the sound bounces off of, and the shape and bracing in this acoustic allows for the hardwood of the spruce to do its job; to vibrate and give the guitar an excellent punch, and to twang and crunch when picking each string individually. It is an unbeatable sound from the first strum, but the real treat is the resonation. The sides of a guitar are where the it's sound rings after strumming. When you let this guitar ring, it gets a deep, rich, and woody sound from the mahogany sides. Somehow, this guitar is both punchy and gives a solid chimey crunch, but also resonates warmly with a full, rich, and deep sound. I have played and owned MANY guitars, but this one takes the cake. It is the best acoustic I have ever played. 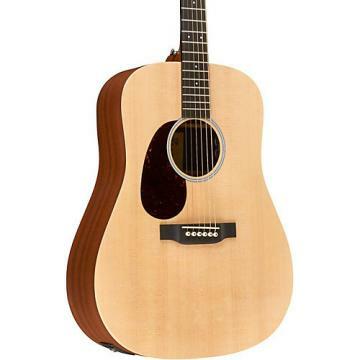 .I am a bit of a guitar collector, and I am particularly fond of the Martin brand. That is why I now have ten of them. Having grown up in the MS delta, I have always wanted a period guitar that harkened back to the days of the genesis of Americana blues. That is why the 000-17 sunburst caught my eye. I received the guitar about three weeks ago. The look of the sunburst guitar was stunning, however, I had to make some modifications to the setup of the guitar to get the sound I wanted. I made a minor adjustment in the neck to reduce a buzz I was getting, lowered the saddle to reduce the action a bit and changed the strings to D'Addario phosphor bronze 12s to warm up the sound coming out of the guitar. It made all of the difference in the world and I am loving playing it. The 000-17 is a smaller bodied guitar (about an inch shorter) than Martin's standard guitars, which is also a fun feature. I rated the guitar four stars simply due to the modifications that I had to make to the guitar. A nice travel guitar. I plan on playing this guitar for a long time.